Barclaycard Arrival Plus or No-Fee Version: Which Card Wins? There are a number of factors that go into choosing a travel rewards card. Since credit cards have a wide range of unique benefits, comparisons are often apples to oranges. However, some cards are similar enough that deciding between them boils down to just a few key points. 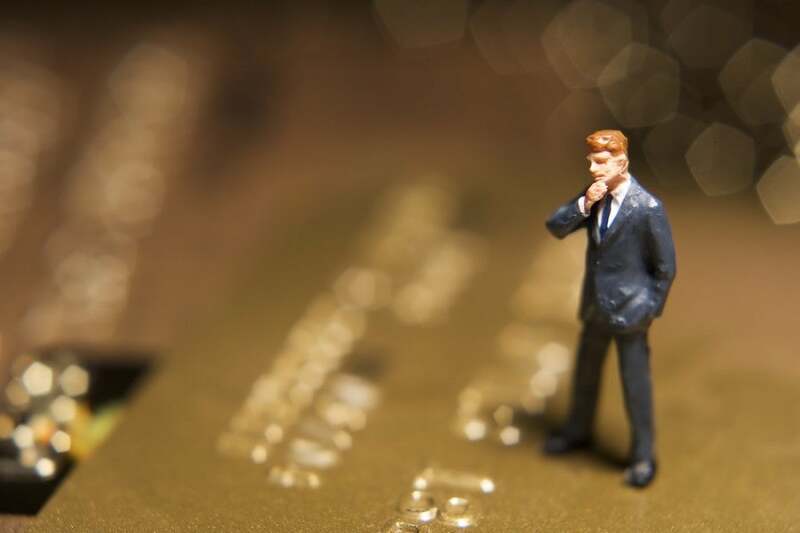 Today, TPG Contributor Nick Ewen compares the Barclaycard Arrival Plus World Elite MasterCard and its no-fee counterpart, the Barclaycard Arrival World MasterCard to evaluate when the extra benefits justify the annual fee. When I first started applying for my own credit cards, I was fully opposed to paying an annual fee. I have since changed my stance, but the decision of whether to pay an annual fee depends on your budget, spending habits and travel needs, as well as the merits of the card itself. Fortunately, many card issuers offer their most popular cards in different versions with and without an annual fee, and in this post I’ll compare these options for the Barclaycard Arrival and Barclaycard Arrival Plus to assess when the extra cost is justified. It’s worth checking out the past posts for more details, but any way you slice it, the Arrival Plus includes additional benefits beyond the no-fee Arrival. However, let’s take a closer look at some of the key differences to see what exactly the annual fee gets you. One of the best features of Arrival Plus is that it provides double miles on all purchases. There’s no guesswork or need to keep track of spending category; every transaction on the card other than balance transfers or cash advances earns you 2 miles per dollar spent. On the standard Arrival card, only travel and dining expenses earn 2 miles per dollar; all other expenditures earn 1 mile per dollar. In fairness, earning rates are only meaningful when evaluated in the context of redeeming, and an interesting note about these two cards is that they offer the exact same redemption options: gift cards, merchandise, cash back, or statement credits to cover travel purchases. For starters, I strongly recommend that you only consider these last two options, since the return for gift cards and merchandise is poor. Even then, travel statement credits offer more than double the value of cash back. For the purposes of this analysis, I’m only going to look at redeeming points for travel, since that’s clearly the most lucrative option. The consistent earning rates make it easy to figure out when the annual fee version makes sense. The calculation hinges on how whether you spend enough on non-travel and non-dining expenses for the extra points earned to cover the annual fee. If you spend a lot at non-bonus merchants, you’re much better off with the Arrival Plus, since you’ll earn 2 miles per dollar on everything. If you use the card predominantly for travel and dining, then you’re better off with the no annual fee card. The threshold is quite simple: If you spend more than $8,091 per year at merchants that aren’t classified as dining establishments or travel providers, go for the Arrival Plus. To arrive at that number, I determined the amount of spending outside of travel and dining for which the extra points earned on the Arrival Plus would offset the $89 annual fee. Keep in mind that you receive 5% of your points back when you redeem them for a travel statement credit, so when you redeem 10,000 miles for a $100 plane ticket, you get 500 miles back. As a result, miles are worth 1.1 cents apiece. From there, it’s simple math: $89 / 0.011 cents per point = 8,091 points. Since purchases earn one extra mile per dollar on the Arrival Plus, that equates to $8,091 in non-bonus spending to cover the $89 annual fee. Of course, the calculations above only look at keeping one card over the other after year one, and don’t factor in the difference in value provided by the sign-up bonus. As noted previously, the no-fee Arrival card currently offers a sign-up bonus of 20,000 miles after spending $1,000 in the first 90 days of cardmembership. The Arrival Plus, on the other hand, offers 40,000 miles after spending $3,000 in the first 90 days. Remember, though, that the $89 annual fee on the Arrival Plus is waived in year one, so not only would you earn double the sign-up bonus, but also you would have a full year of earning 2 miles per dollar on all purchases. You can then decide what to do when the annual fee hits. Keep the card. After a year of cardmembership, you’d have a good sense of your spending patterns, so you could decide whether the annual fee is worthwhile. Cancel the card. This would (obviously) avoid the annual fee. However, with cards like this that don’t bank your miles to a specific hotel or airline, you would forfeit any miles still in your account by cancelling. As a result, you should only do this if you have redeemed all (or at least most) of your miles. Downgrade the card. Downgrading is ideal if you’ve decided the $89 annual fee isn’t worthwhile (for example, if you typically spend less than $8,091 annually on non-travel/non-dining purchases). There’s one final consideration when deciding between the two cards. Back in May, Barclaycard rebranded the Arrival Plus as a World Elite MasterCard, and added some nice features like Chip + PIN technology for traveling abroad. You may not think that those words on the front/back of your various credit cards mean much, but they do. Jason Steele recently wrote a detailed overview of these differences, so check that his post for complete information. In a nutshell, both types of cards offer a variety of coverage and benefits (including enhanced price protection and perks at luxury hotels & resorts). However, as a World Elite MasterCard, the Arrival Plus gives you additional travel benefits, including flight discounts, cruise credits, and elite status/discounts when renting a car with Avis, National, and Sixt. Whether these differences matter depends on your personal travel habits. If you can take advantage of the World Elite benefits, then Arrival Plus, they can easily outweigh the annual fee. I personally have the Arrival Plus, and my first year with the waived annual fee will come to an end in the spring. I tend to use this card for two types of transactions: 1) ALL purchases that don’t give me a bonus on another card, and 2) when I have travel expenses for which I want to redeem my Arrival miles. If my spending next year mirrors my spending this year, than the Arrival Plus will clearly be the better option. This may not be the case for everyone, so be sure to evaluate your own spending habits to see which card makes sense. Either way, I do recommend that you get at least one of these two cards. TPG has discussed the virtues of Arrival Plus, and even puts it neck-and-neck with the Chase Sapphire Preferred as a top travel card. I love the flexibility of redeeming the miles for any travel expense, and even if you abhor annual fees, having a no-fee card with no foreign transaction fees and such a lucrative earning and redemption scheme is a no-brainer in my book. What are your thoughts on Barclaycard Arrival vs. Arrival Plus? Please share your opinions in the comments section below!